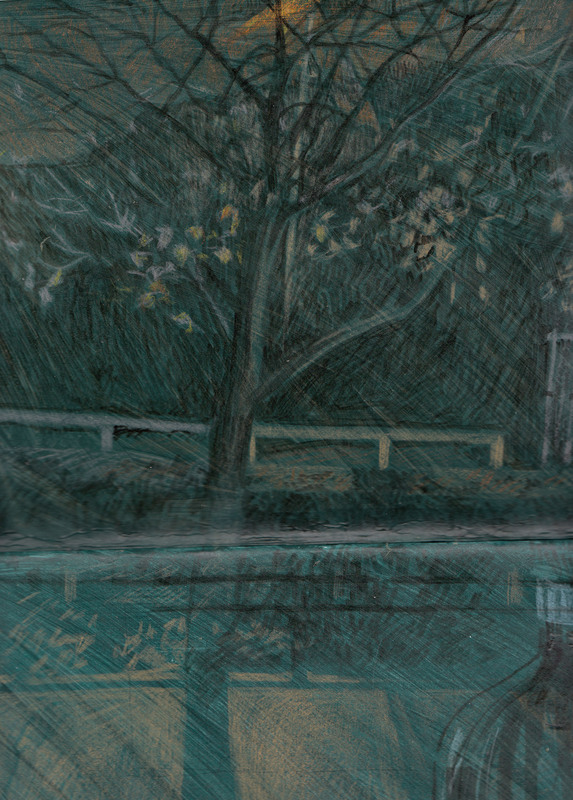 I went out to draw at Writtle duck pond. I hoped to get the opportunity to draw people, children and their adults especially, and ducks. I sort of got to do that, but it was cold. And you can tell – which just goes to show how the truth comes out through drawing. You can tell if an artist has enjoyed making a drawing, or if it’s laboured and forced, or if they were simply bored. This one was a tense struggle to capture the light, and the cold came out in it too! Drawn with a stick dipped in ink, and some brush work too. Challenging to draw – the beasts never stay still and all that bathing in the cold water made me feel even colder! Indoors with the children…. 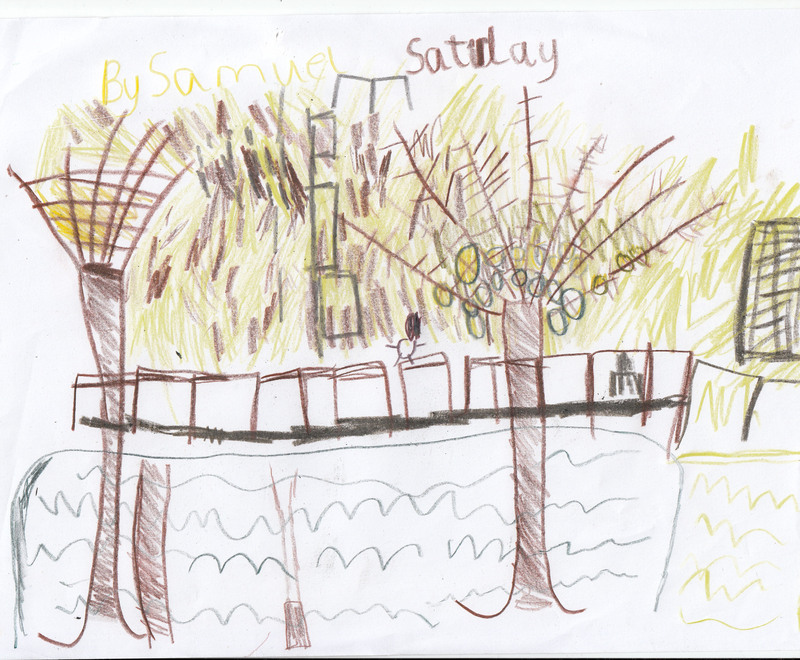 Sam sat at my desk to draw the scene out of the window. I drew him drawing. 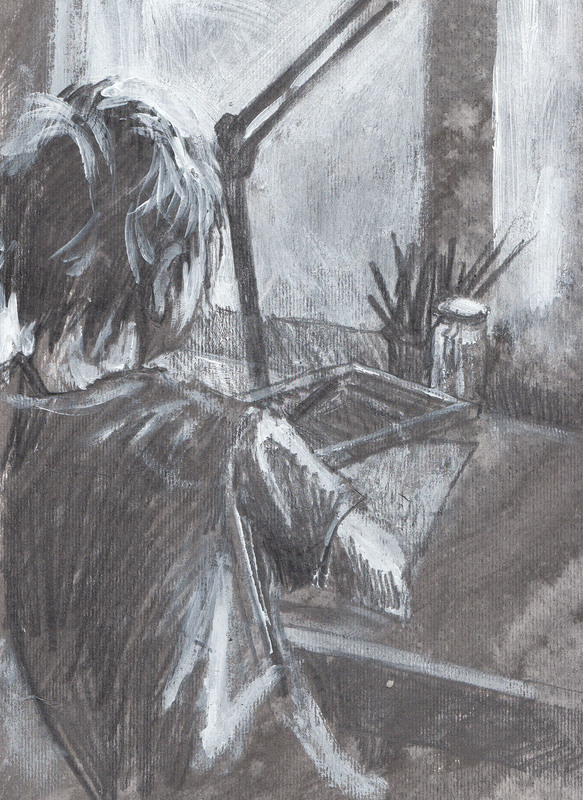 An impromptu tonal study of Sam sitting at my desk. A few weeks ago I hit upon the idea of drawing at the shoe shop round the corner from me. It has been in the same location since 1951 when the estate was built. It seems pretty unchanged since then and I love the ceiling to floor stacks of shoe boxes. It’s quite a small space so there’s a real challenge of perspective and line here. 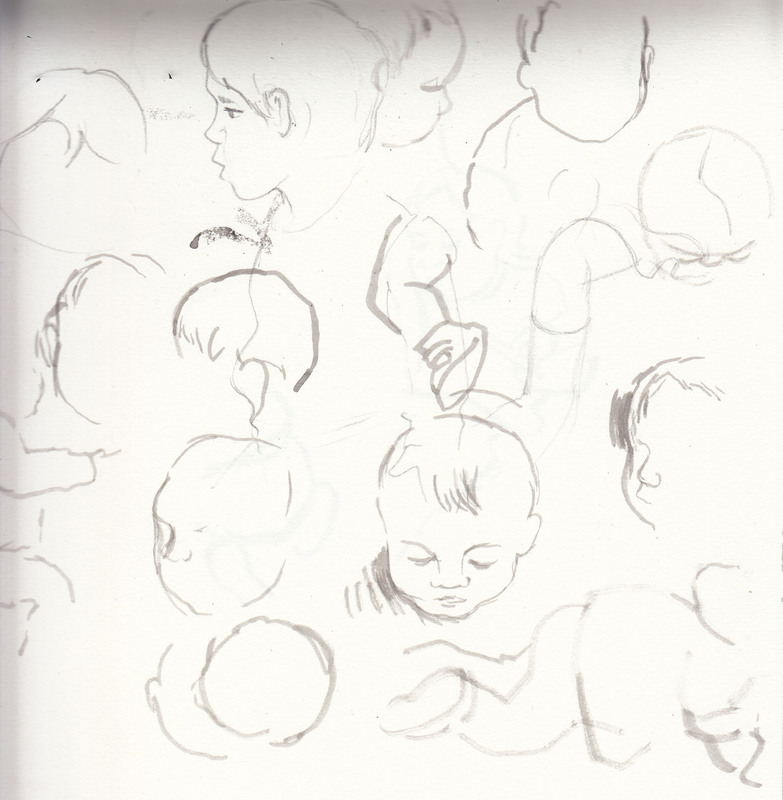 Also it’d be nice to have a few small customers to draw…. well, when they have some! Initial studies in sketchbook, considering composition and scale. These are done in Biro. I’m still not quick enough! But at least it’s fun, because I can ask the parents if they mind and I don’t have to feel surreptitious about it! A more sustained and committed tonal study using pencil and ink. I love those shoe boxes! Oh just one more, drawn out of my window at night. It is necessary to shine a torch on the drawing as you draw, so that I can still see out of the window. Nice to draw at night though, strange colours. First time I’ve really enjoyed using colour maybe… I definitely have more confidence with colour since the workshop with Jane Human. 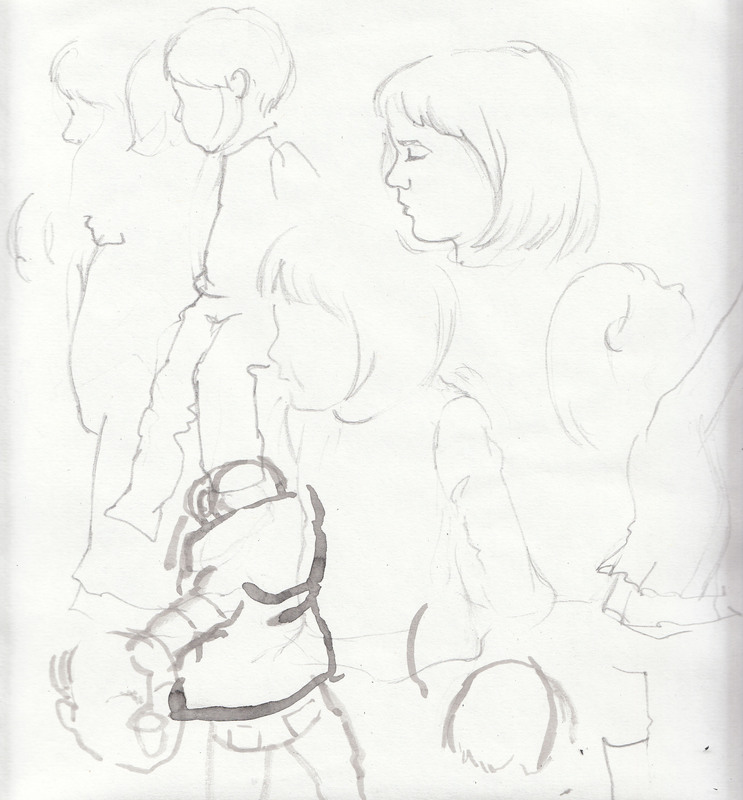 The actual image is a little bigger – this is all that can fit on my scanner. The view from my room, at night.